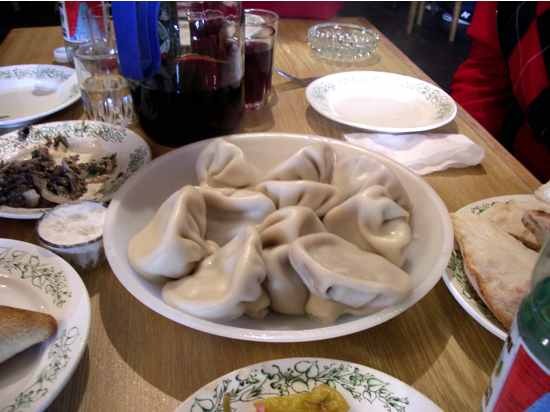 These are "Khinkali" served at the restaurant near Mtskheta(old capital). 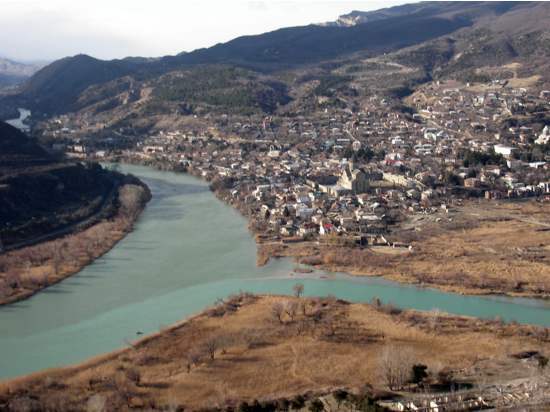 In a way of saying that Khinkali is the Mongolian Geru left in the west of the silk road Georgia in 13th century. 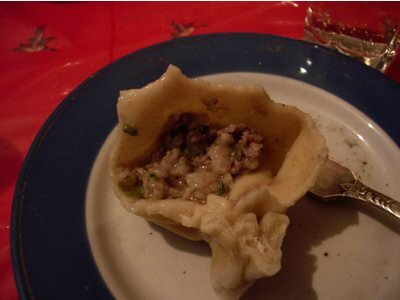 In Mongolia there is a steamed dumpling called "buuz" resembles Khinkali and the stuffing is just as juicy as Khinkali. 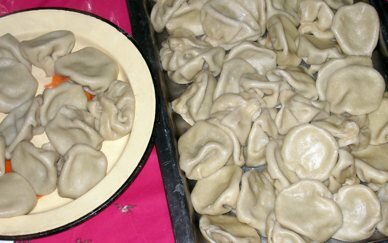 Talking about resemblance, Tibetan "Momo" is also Khinkali look alike and taste alike . 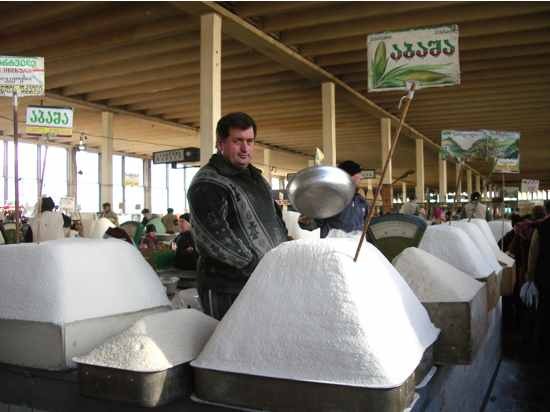 And the fact you can find them aroud Himalayan countires somewhat resembles Khinkali being found around Caucasus countries. 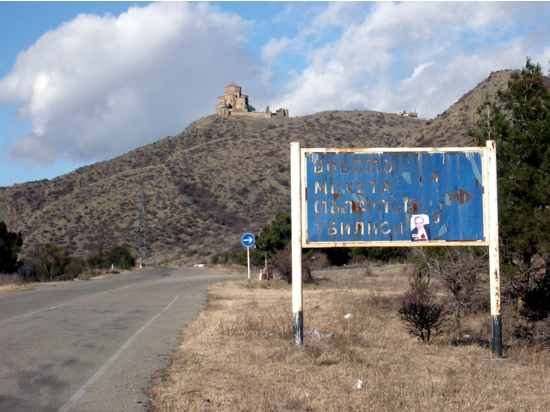 Since Georgia declared independence in 1991, those signs are written in Georgian and English. What you see on the top of the hill is Jvari (monastery). These are Khinkali served as breakfast at private home after heavy-duty feasting the night before. They say that Khinkali works for hangover. It was still dark in the house, rubbing my sleepy eyes I ate Khinkali. The electricity that suddenly got cut off last night has not come back yet. I saw the light of a small lamp which was turned on in the corridor above a car battery.